She was referring to one of Atwood’s early accomplishments, a stint with the Ice Capades — the beloved ice-skating show that traveled the country for more than 50 years. Atwood, a native of Arlington, Va., won that state-level award, and went on to become runner-up for the award at the national level. Now 70, and living in Richmond, Atwood has recently published her third book, My Journey Through Eldercare: The Search for Peace and Meaning. The book is based on her experiences caring for her mother, Dee, who lived at home until her death at age 102. Atwood first observed the many elements of caregiving as a child. “I watched my parents and their parents take lifelong care of each other,” she recalled. “We were always a fragile ecosystem, with few resources other that our spirit. What we had, we shared. Atwood hasn’t skated through any of her accomplishments —including that Ice Capades year — without facing big challenges. “I summoned the courage to audition for the Ice Capades at age 18, as a college freshman.” she said. “It was something I had wanted to do since the age of 8, even though I had never skated, and had no opportunity to skate until I was about 14. That’s a late start. But I threw myself into it with a passion.” Her audition was successful. 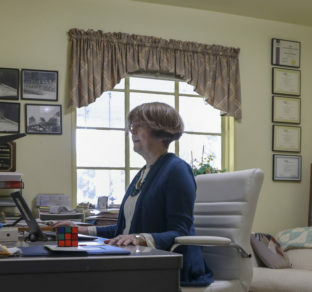 After graduating from George Mason University in 1974 with a degree in psychology, she joined the staff of the daily Manassas Journal Messenger, with all of eastern Prince William County as her “beat,” including police and fire and three town councils. She received a 1975 Associated Press award — one of many state and national communications awards received over her career — for breaking the story of child abuse at a children’s camp. She has done lobbying work since 1995 for clients ranging from the Virginia Federation of Food Banks to Virginia Girl Scout Legislative Coalition and the Speech-Language-Hearing Association. Current clients include the Retired Teachers Association and Virginia Voice. Also in 1995, she took on the job of backstage director of the cable television show, “Election Night News,” and began editing Virginia Capitol Connections. All the while, Atwood was going to law school, receiving her juris doctor degree from the University of Richmond School of Law in 1996. Her goal in entering law school in 1993, when she was 45, was to practice disability law. But she continued her writing in the form of an etiquette column for young lawyers in the school newspaper, and writing several stories for The Student Lawyer, a national magazine. A decade later, she published the book, In the Field of Honor: Stories of Virginia Veterans. Atwood has been involved with the cause of children with disabilities for many years. As president of the Central Virginia Chapter of the Autism Society of America in 1985, she gave presentations at universities and community groups. In 1998, she spoke to an international conference for parents of children with disabilities in Atlanta, Ga., on the subject of a single mom’s managing a child’s disability. “I’ve always wanted to change the world for the better. Using writing and speaking seemed to be the best way,” she said, in a passage quoted in her nomination for the award. 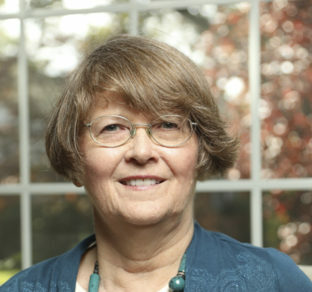 Atwood’s involvement with her son’s school, Thomas Jefferson High School, led to her run for the school board of Richmond Public Schools in 1998. She campaigned on the theme of re-integration of public schools and parent empowerment. Sometime before, the city had made a politically charged proposal to close the school. Atwood made a strong case, in her writing and speaking, for not sending the negative message that a predominantly white district did not welcome a predominantly black school. “Even though I did not win the seat,” she said, “my candidacy forced a public dialogue.” She continued to support the school, individually and through asking her church — Holy Comforter Episcopal — to take on the school as a special project. She became a gubernatorial appointee on the Virginia Board for Rehabilitative Services (1999-2002), and later on the Board for Asbestos, Lead and Home Inspectors (2009-2013). She was a founding member, in 2004, of the Virginia Association of Professional Lobbyists, which created a code of ethics for lobbyists, and fostered good communications between lobbyists and government agencies. Atwood, who is of Creek Indian descent, proposed and provided extensive research for a highway marker on Black Hawk, a leader of the Sauk Nation. The marker was erected at the former site of the Eagle Hotel. She continued her role as president of Virginia Professional Communicators, Kent pointed out, “holding meetings with her face covered by a surgical mask and her bald head covered by a perky cap.” Her two-year term concluded as one of the most productive in the organization’s history, Kent said. Atwood’s newest book is My Journey through Eldercare: The Search for Peace and Meaning, PathBinder Publishing, 2018, 113 pgs. $12.95, available from online booksellers. She will have a book signing on Nov. 28 from 4 to 7 p.m. at Commonwealth Park Suites Hotel, 901 Bank St., Richmond.